There’s been plenty of chatter around gambling stocks in the wake of the news that the US is allowing states to legislate on sports betting, rather than it continuing to be illegal at the federal level. Stocks in some of our most famous sports betting houses such as William Hill and Paddy Power Betfair had strong gains, simply off the back of this revelatory news that was announced across the other side of the globe. But is placing faith in gambling stocks really a good bet to make? Let’s take William Hill, for instance. If you’d placed your bets on William Hill before the Gambling Act 2005 was enacted, you could’ve bought in at around 200GBX at around the start of 2003. If you’d cashed out at the start of 2007, you’d have tripled your money. However, if you’d held onto them up until now, you’d have seen only a 30% rise, as opposed to the FTSE 100 overall, which has almost doubled in this period. Unlike other sectors that generally have fair-weather stocks, such as healthcare and defence affiliates, gambling is an entirely different ballgame. Let’s take a look at why this is. 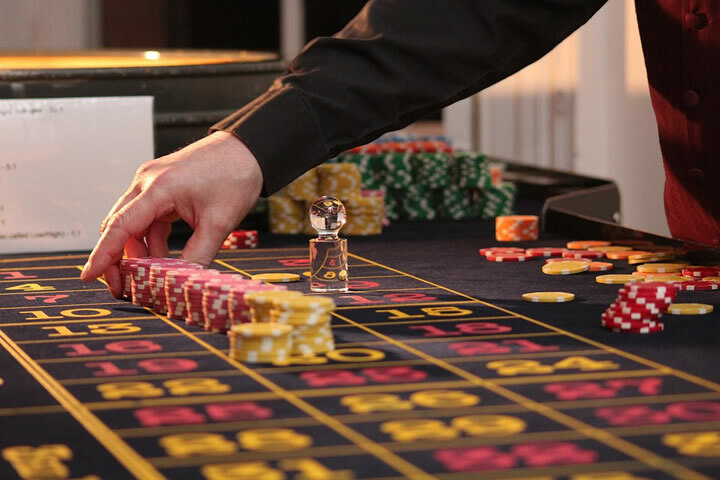 There are two distinct components involved that make investment in gambling stocks risky: technology and legislation, and they are both quite interconnected in a lot of situations. Online gambling has become a huge industry, even though it is outlawed in much of the world, or being run out of legal tax havens to circumvent particular rules. Just how quickly is the industry growing? NoDepositRewards.com sees at least 300 new online casinos appear per year brand. You can easily find an online casino to play for hours on end. Instead of having to head down to the local sports betting shop or casino, we can now do this from the comfort of our own homes, via mobile phone. Technology has given gambling the capacity to go global, and with advances in technology on the uptake in the gambling industry, we can’t be too sure what’s going to go big next. Will it be VR gambling, sitting down with other poker players with a live dealer at a game somewhere else in the world? Will it be blockchain casinos? It’s hard to hazard a guess. Even more difficult to ascertain is how these types of advances in technology will be viewed under current laws. They may be shut down as quickly as they popup due to interpretation of the law. Legislation surrounding gambling can be extremely difficult to predict. At the beginning of the US sports betting case cited, it seemed like there was little reason to believe that sports betting could be legalised. It was a small fish up against a federal law. However, the ruling that the federal law was unconstitutional changed everything. The most interesting part? It was up to the Supreme Court in the end to interpret whether that law was unconstitutional or not. When going up against historical laws, interpretation can make a huge difference. Then we have to look at laws being introduced to help govern these new changes in technology in the gambling sector. Traditionally, legislation moves slowly, unless there is an immediate threat. Let’s take blockchain, for instance. While cryptocurrencies and blockchain are often breathed in the same sentence, they are not the same thing. An online casino offering services by betting and cashing out in cryptocurrencies is entirely different to a blockchain-based casino, which would offer proof of operations in a given blockchain. While it could be fairly easy to predict legislation surrounding casinos offering a crypto-exchange (just treat it like other funds), legislation surrounding blockchain casinos is currently non-existent, nor could any current law regarding online casinos be used to successfully govern them. We propose that putting your stakes in a blockchain casino is no different than having a spin on the roulette wheel. And this is just in the technology sector of gambling. Even with “safe” gambling houses, legislation is continually changing, which can have ongoing effects causing gambling stocks to slump. The latest news? Labor calling for a ban on gambling advertising during live sporting events. While we don’t have the figures here to show how much an advertisement during play increases the amount bet online by customers, it’s fair to say that it’s having an impact - or the ads wouldn’t be there in the first place. There’s been new laws put into place recently surrounding website and affiliate advertising and wording. It’s simply impossible to predict which areas they will target next - and hefty fines are on the table for non-compliance. If you love to gamble, then you might get a kick out of hedging your bets on gambling stocks. However, it pays to do your research. Take a look historically and globally into gambling legislation. Take a close look at technology, and legislation surrounding new technologies. Gambling stocks are far from a sure bet. There’s a tricky game to get into if you haven’t surveyed the landscape completely and keep your eyes on the latest industry and regulatory news. While there are always gains to be made in any industry, the gambling sector may be best left up to the experts and the very game. If you’re looking for a bit of a thrill and perhaps a win, then you might get better returns in a hand or two of poker down at your local casino.